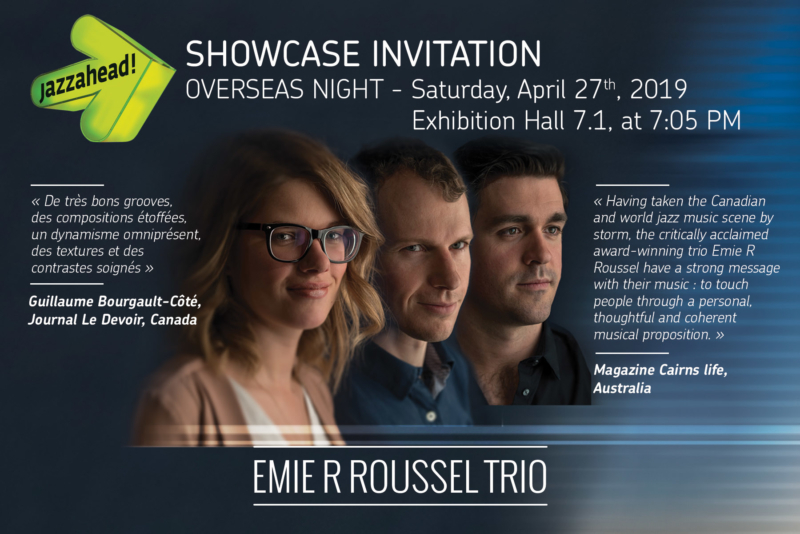 On April 27, 2019, the Emie R Roussel Trio will present an official showcase as part of Jazzahead! in Bremen, Germany. A unique opportunity to present their music to industry professionals from around the world! Jazzahead! 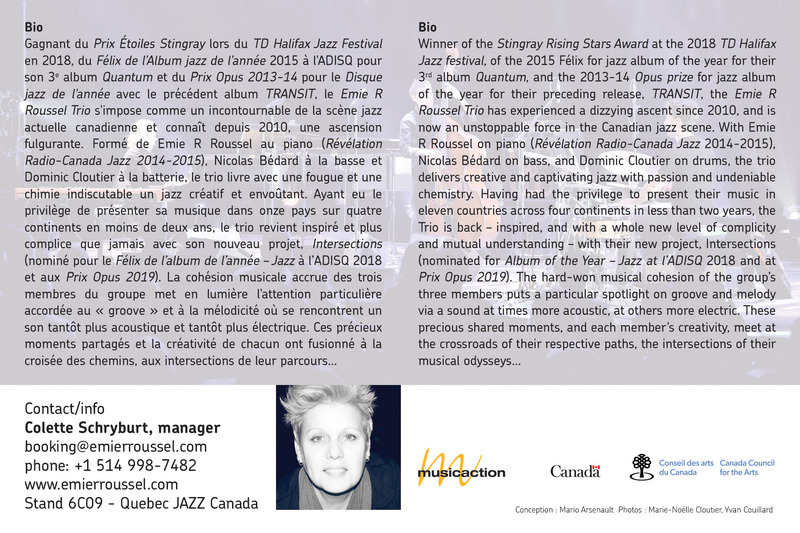 is the most important meeting place for the international jazz scene. Around 60 countries are represented and more than 3,000 participants are present each year.